DARTMOUTH — Durval R. Pacheco, 51, of Dartmouth, died Friday, April 20, 2018 at Miriam Hospital in Providence. He was the son of Maria Gloria (Rebelo) Pacheco of Dartmouth and the late Ernesto Pacheco.Born in Vila Franca do Campo, St.
Joseph F. Hanley Jr., 89, of Falmouth died on April 16 at JML Care Center. Mr. Hanley was president of the Falmouth Theatre Guild in its early years. 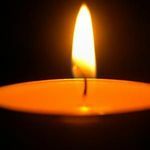 Paul A. Kenefick, 74, of East Falmouth died on April 3. Charles H. Rose Jr., 82, of Bourne, who was a boxing coach, investigator, constable and a Marine, died April 20. Carol J. Dickson, 76, of Mashpee died April 11 at McCarthy Care Center in East Sandwich. Cyrill (Green) Wolf-of Brookline, at age 85, on April 23, 2018. She was dearly loved by her late husband Merton Wolf, by her children Jeffrey (Valerie Kiviat) Wolf, Paul Wolf, Donna (Daniel) Behr, and by her sister-in-law Brenda Green. Salem, NH – Gail J. (Mezakowski) Bernard, 71, of Salem, N.H., passed away on Saturday, April 7, 2018, in the Northeast Rehabilitation Hospital, Salem. She was born in Lynn, Mass., a daughter of the late John and Dorothy (Daniels) Mezakowski.